There is nothing better than the sound of your phone or iPad telling you that you just made a few dollars. When you glance at the screen, and the amount is over $10 it is even better. Then the notifications start happening regularly, and you are definitely doing the happy dance! 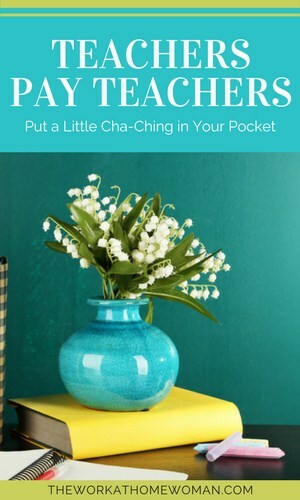 Selling on Teachers Pay Teachers is a great way to put a little cha-ching in your pocket. Teachers Pay Teachers is a great way to share your expertise and knowledge through quality lessons, tips on ways to engage your students, and interventions that help differentiate your lessons. Knowing that your content and creations are in the hands of teachers all over the world is pretty gratifying too. Selling your digital graphics, fonts, and design skills can be just as rewarding. You don’t have to be a teacher in the classroom to start a store on Teachers Pay Teachers. There are graphic designers, clip artists, former teachers who work for Disney, homeschoolers, and retired teachers who no longer work in the classroom. Having a background in technology can give your products a unique twist. Sharing your knowledge of design through tutorials on how to create eye-catching covers, animated store banners, or an amazing logo package are all viable products for a shop. Posting products that contain clipart graphics that can be used for lessons and task cards will make it easier for teachers to design resources. How can you offer your expertise and knowledge? As a teacher selling your resources online, you are increasing your value. Not only are you earning more money from lessons that were labor intensive and time-consuming, but you are also increasing your knowledge of the curriculum you teach. This makes you an even more effective teacher. You become an expert at what your students need to learn and how to create engaging ways to cover that content. It’s been said multiple times by teacher-authors: “Selling on TpT has made me a better teacher.” Why is that? You become immersed in your content. You are aware of your students' engagement and how you can adjust lessons (or products) to make them more effective. You feel validated. The time you spent on an engaging cross-curricular lesson was valuable for your students. When the lesson is over, you sometimes feel deflated. All that hype and build up for a fantastic lesson, and then you file it away in the cabinet. Instead of placing it away in the filing cabinet and begrudging the time and effort it took, you can sell it to other educators. Not only does it save them time and effort, but it also validates that you designed an amazing lesson! That resource, which was lovingly created by you, has now been used in a lesson that benefited 20 additional students. When another teacher purchases those same plans, it helps 20-30 more students. Your thoughtfulness and time have been shared exponentially. Amazing! That same amazing feeling and validation works for anyone that sells on Teachers Pay Teachers. Maybe it’s your graphics that are used in numerous math resources or borders and background papers that are used on task cards. Maybe you can create logos and graphics for teacher-authors to help set up their shops. No matter what your area of expertise is, you know that when someone buys your products, you are not only helping a teacher, you are helping their students, and many other students as your work is continually purchased and used by other teachers and students. There are always tips and tricks to learn about any money making venture. Teachers Pay Teachers isn’t any different. Starting is quick and easy. The community will help you with the learning curve and provide constructive and valuable feedback. Read previous posts. Ask questions about things you find confusing or that seem unclear. You can sell as you grow and learn. Creating an account is free. There are two options as a seller. The first option is a free account that takes a higher percentage of each of your sales: 40% commission and a $0.30 transaction fee. The second option is the Premium Seller account that has an annual fee of $60 with higher royalties: 15% commission and a $0.15 transaction fee for a single item in the cart that is less than $3. That means if a buyer only purchases one item at checkout that is less than $3 the seller will be charged an additional $.015 for that transaction. When you create your account, you will be asked to list a free featured item first. The teacher-author community is about quality and sharing. Make a product that is worth paying for and then list it for free. Show prospective buyers what your work looks like and what they can expect from you as a seller; This will help you to start building a following. Your next items can be a mixture of free and paid. Don’t undervalue yourself by pricing your items too low or giving them away for free. Teachers understand the value of your time and effort and are willing to pay for your quality work. A general guideline that is frequently discussed is a price of $0.10-$0.20 per page. Higher content, engagement, and research needed will be closer to the $0.20 end of the spectrum. Your free-to-paid ratio needs to be about 8-10%. This means that for every 8 to 10 items you list as a paid item you should then list a free item. One way to do this is to offer a section or sample of a larger product for free. A sample can be a few pages of task cards, worksheets, or a few pieces of clipart. Offer these to your followers for free with a link to your full paid product. This gives future buyers a taste of what you create and will lead to sales of your paid product. A win-win for both of you! And what about that cha-ching? They add up! Payments are collected by Teachers Pay Teachers. No need to worry about setting up a cart or payment methods. You can track your earnings on your dashboard, and then at the end of the month, you will have a grand total that will be deposited into the payment account of your choice. You can choose to have payments sent to a PayPal or Dwolla account. Each month between the 10th-20th, your payment will be deposited in your account, minus a $1 transaction fee. The saying among teacher-authors is that it’s a marathon and not a race. Building your inventory doesn’t have to happen overnight. Starting with a handful of products that are based on things you have already written or created is a great way to start. With a few hours a week after your regular 9-5 and maybe a few hours on weekends, you will be increasing your inventory at a steady pace. 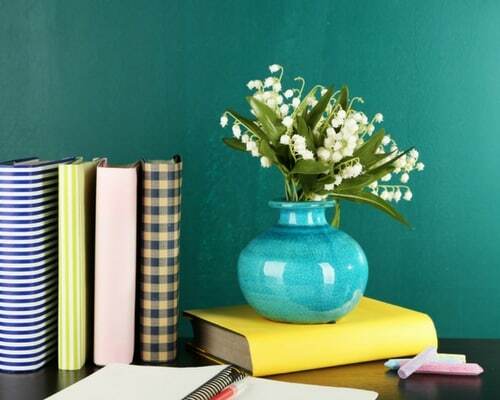 If you are a teacher, summer is an excellent time to crank out some products, spruce up your shop, and get ready for the crazy back to school season. The potential earning on Teachers Pay Teachers can be equivalent to a part-time side hustle or a full-time job. Some sellers retire from teaching to pursue selling their creations full time. Other are using the money as a little extra cushion for the monthly budget. Teachers have decided to stay home and raise their little ones full time while selling lessons they design because they have replaced their teaching income with their TpT earnings. What can you sell on Teachers Pay Teachers that will put a little cha-ching in your pocket? Whether you are interested in adding a little cushion to your monthly budget, creating an income that allows you to stay home with your children, or a way to pay for your next tropical vacation, the potential is there. It’s almost as exciting and rewarding as teaching! Almost. Rhoda Toynbee is a teacher who also creates educational resources and graphics. She is a mom, a wife, and an entrepreneur. She loves to learn something new, especially related to technology, and she's driven to never stop evolving to make positive changes to her life, her classroom, and her business. You can connect with Rhoda at her blog, Rhoda Design Studio, or at her TpT Shop. I like this article! I’m trying to make a go of an online shop for the first time. I’ve opened a store for science and agriculture related items that I’ve made. I’m hoping a few people might consider checking it out, give some feedback or even consider following me. Thanks for reading and commenting. Your store looks great. For just starting, you have a nice collection of resources. One thing I would suggest is that instead of listing all the grades that a resource can be used for, list 3-4. It will show up in the search better. If it’s really a resource for K-12 then mark “not grade specific”. Also, see if there are some items you can bundle together to create a product with a higher price point. Thanks for sharing your tips, Rhoda!